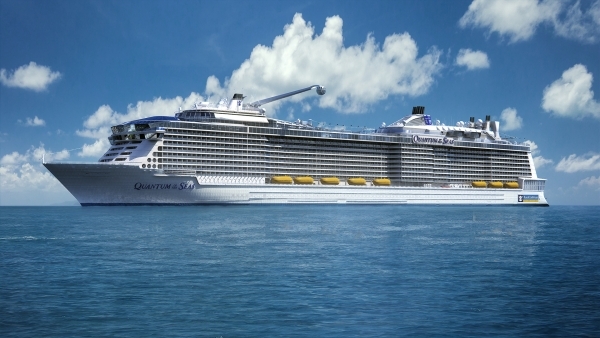 Royal Caribbean announced today that they have ordered a third Quantum-class ship from Germany’s Meyer Werft shipyard and the vessel is slated for delivery in mid-2016. Quantum of the Seas is currently under construction and is scheduled to debut in the fall of 2014. Anthem of the Seas is set to follow in 2015. Each Quantum-class vessel is 167,800-tons and accommodates 4180 passengers. Filled Under Blog, cruise ship orders, gallery, News, Twitter, What's New? Big Sale! Royal Caribbean offering buy one, get one 50% or third and fourth passengers free!